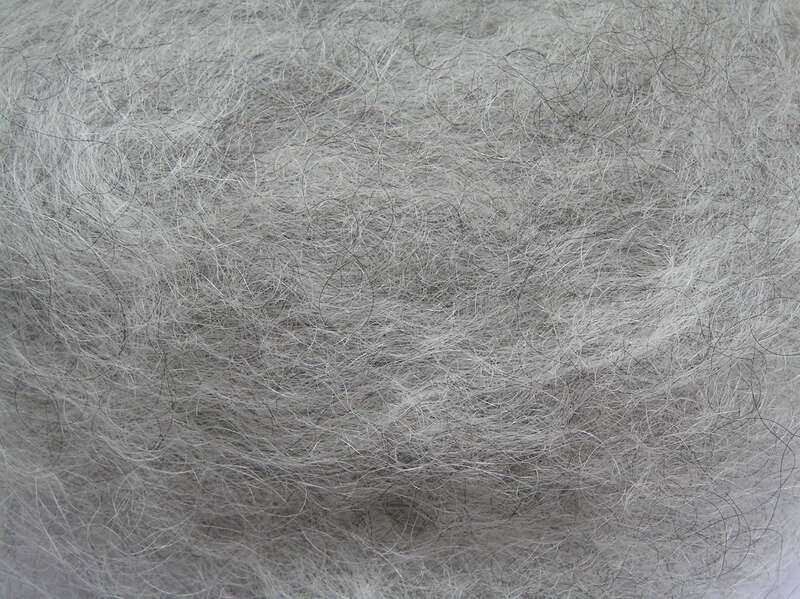 I’m not very good with fleece. 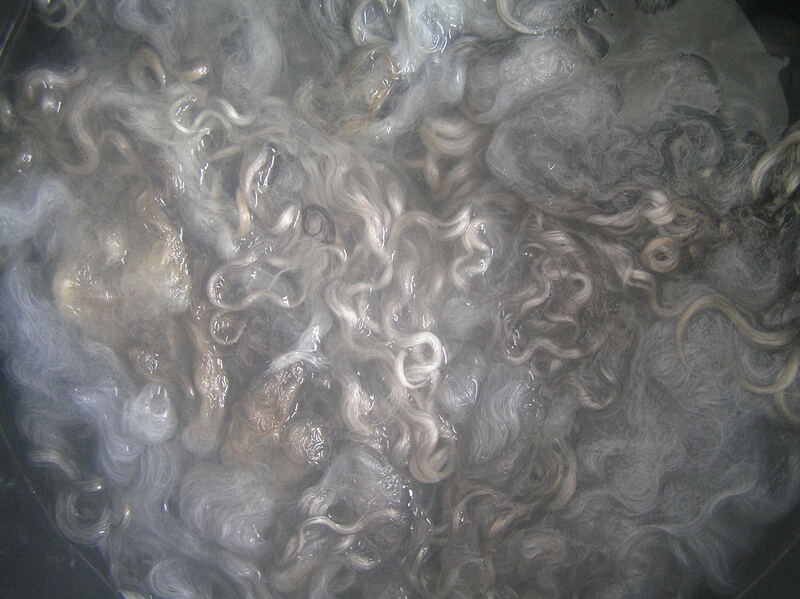 When I’ve washed, carded and spun fleece in the past, more often than not it has ended in lumps, bumps and matted nastiness. Not this time… All the stuff about lock preservation that I had read really fell into place, mostly because the fleece itself was so lovely! 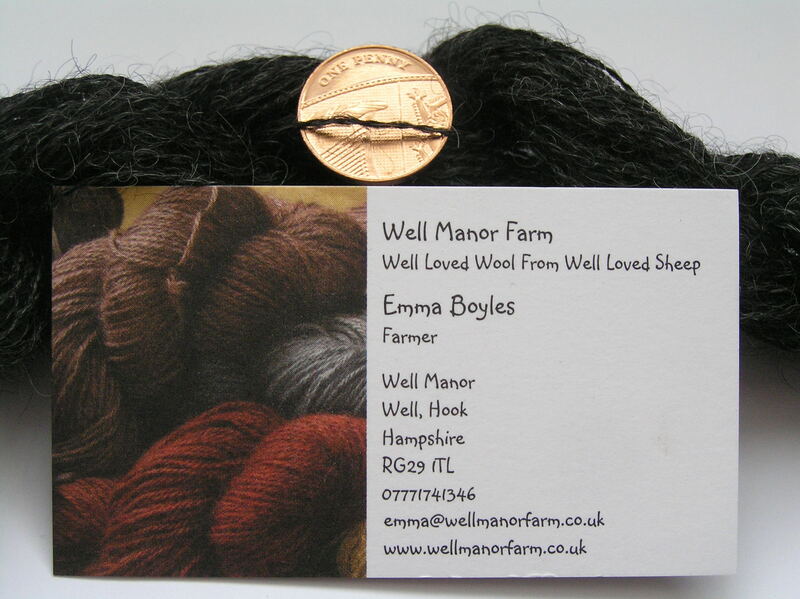 I bought 500g of Gotland fleece in three different shades of grey from Emma Boyles of Well Manor Farm. Even before I washed it, I could see that there was almost no vegetable matter at all and I almost had an urge to spin it without washing. It didn’t take much washing, a soak in hot water, one in soapy water and two rinses. 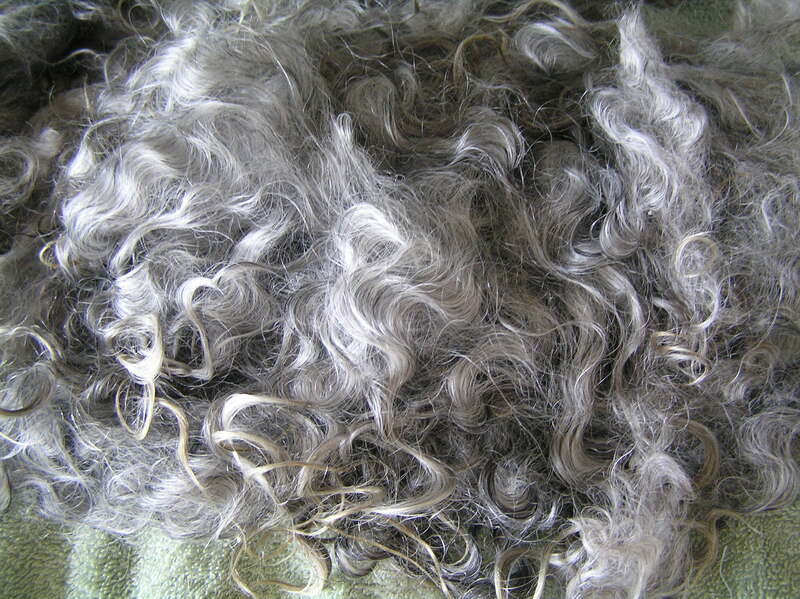 It still looked, as my daughter pointed out, like an old lady’s grey haired curly wig, even when drying on top of the woodburner. 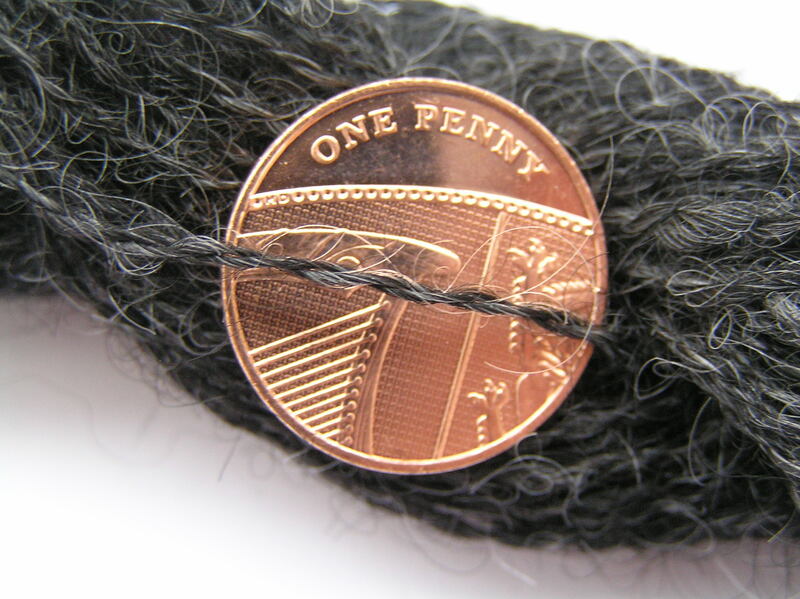 I handcarded the fleece and it just wanted to be spun into a very fine yarn. 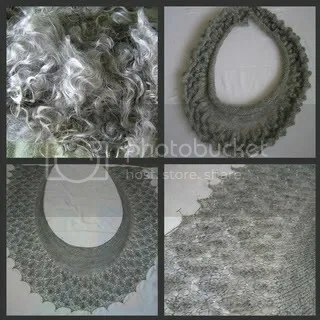 I washed, carded and spun all the pale grey fleece and, having enjoyed making Annis earlier this year, tackled another of Susannah IC’s designs ‘Little Leaves’. AwesomeEle on Ravelry kindly gave me this pattern and I was determined to do it justice – even though it mean another 300+ stitches to cast on and adding about 200 beads (which I did with a tiny crochet hook this time round)!